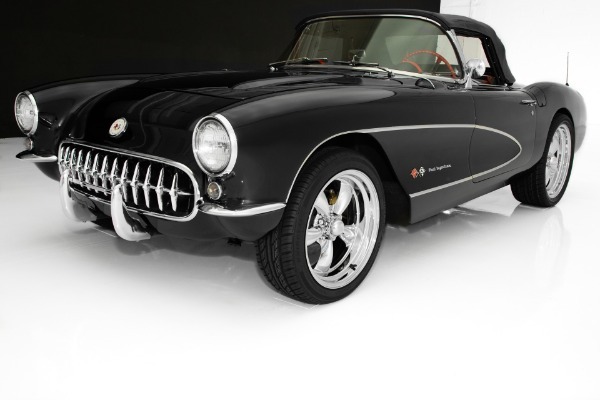 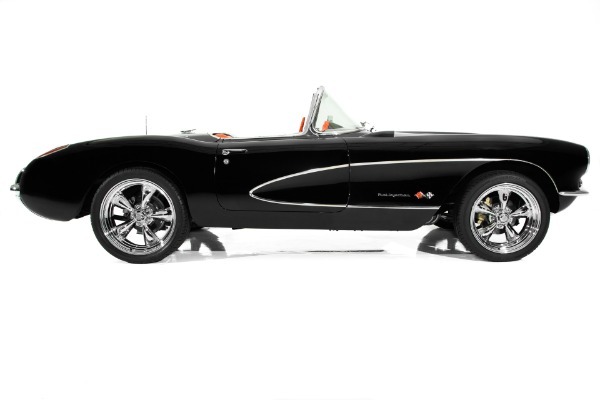 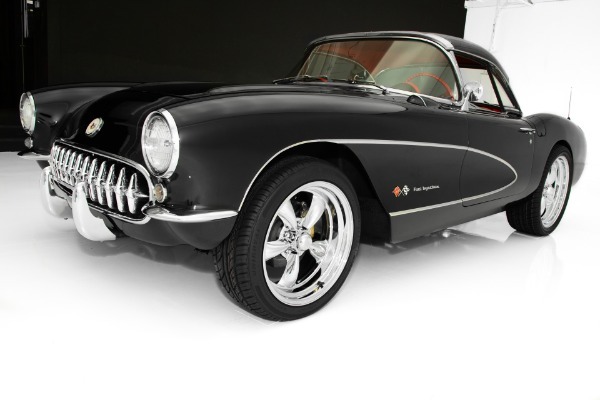 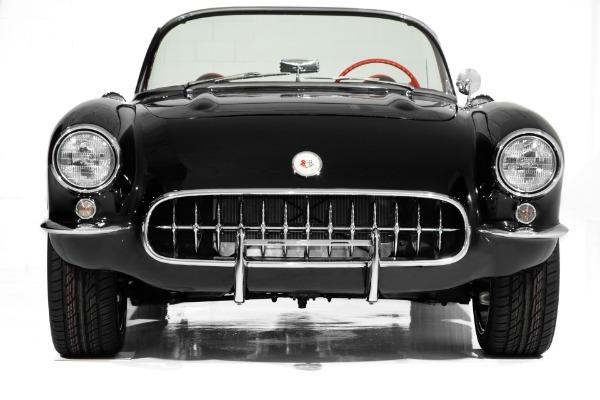 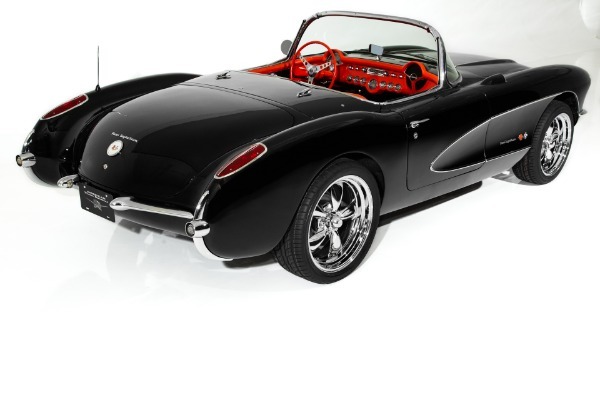 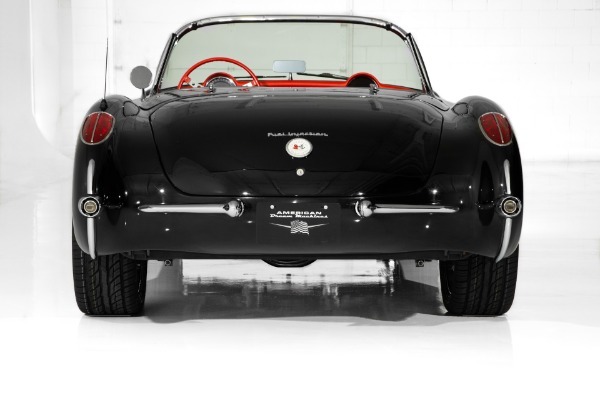 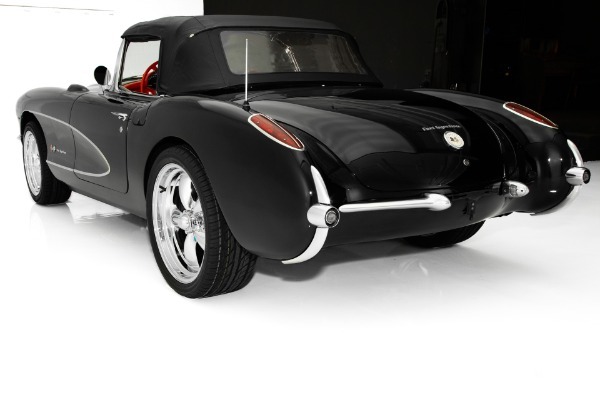 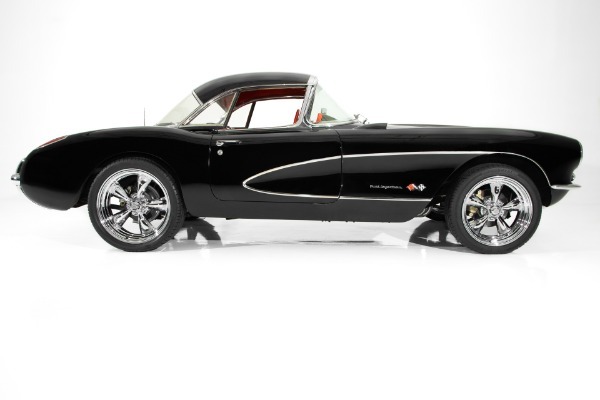 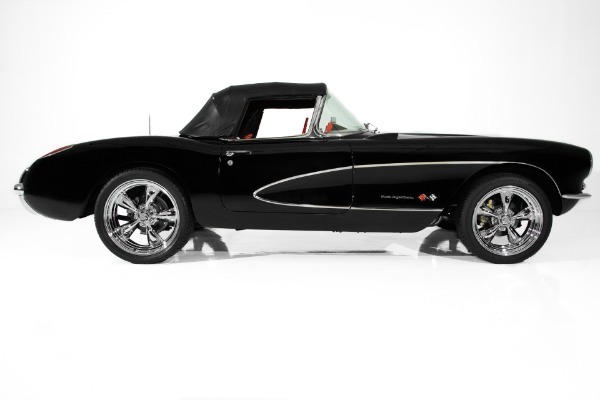 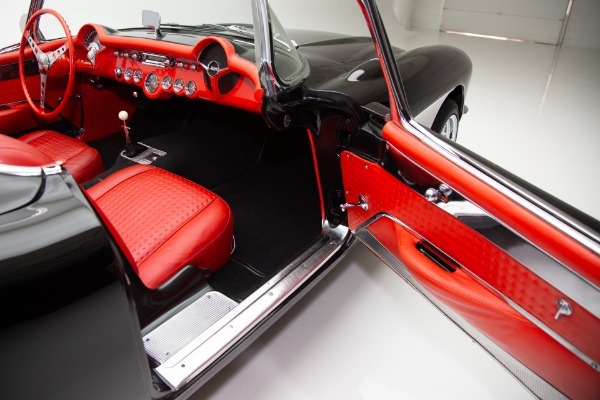 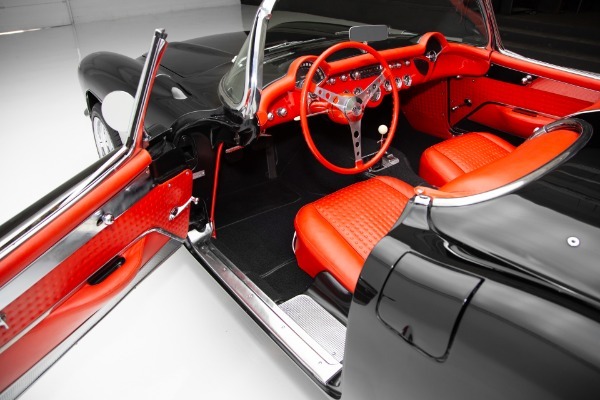 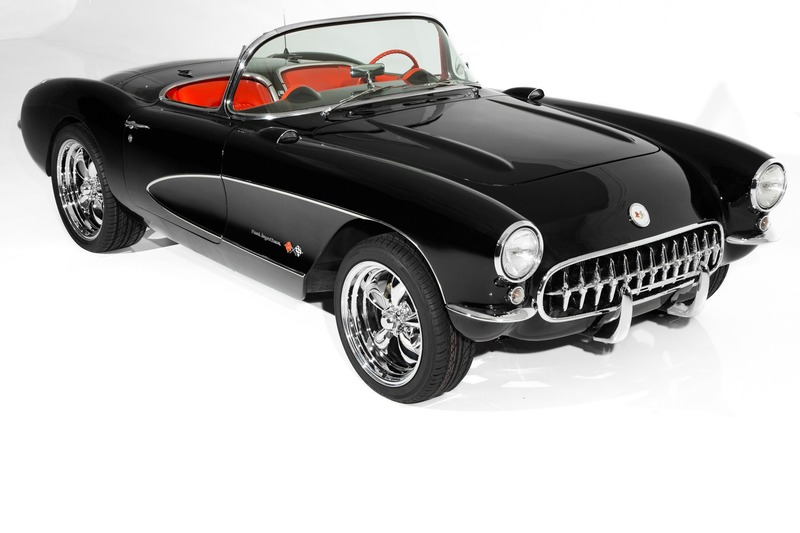 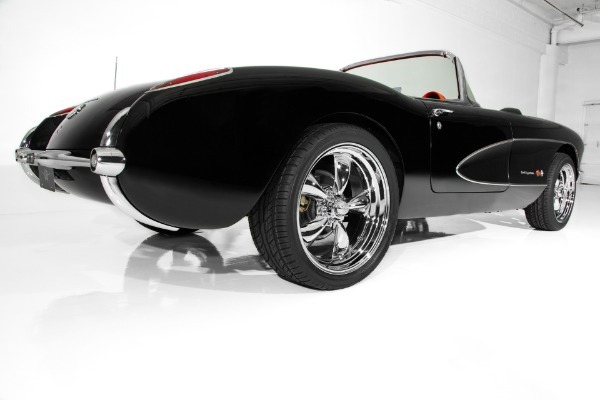 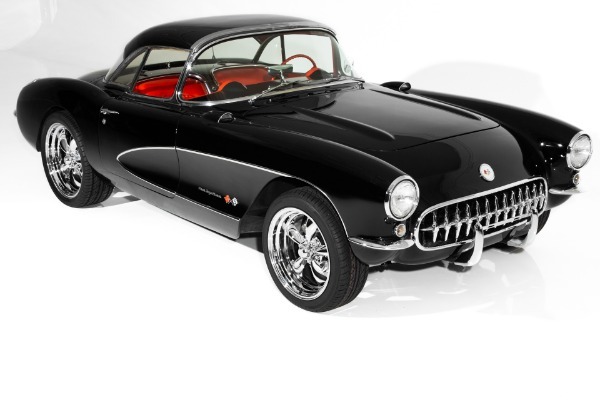 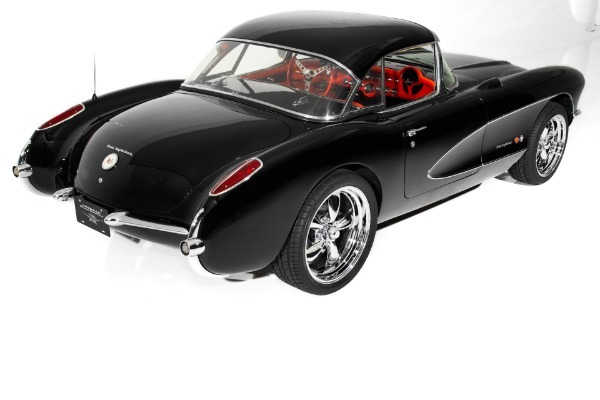 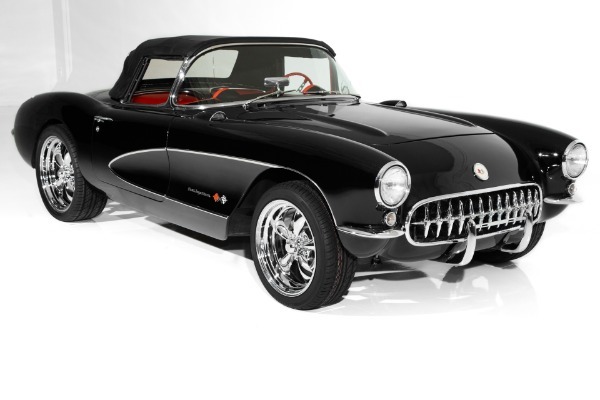 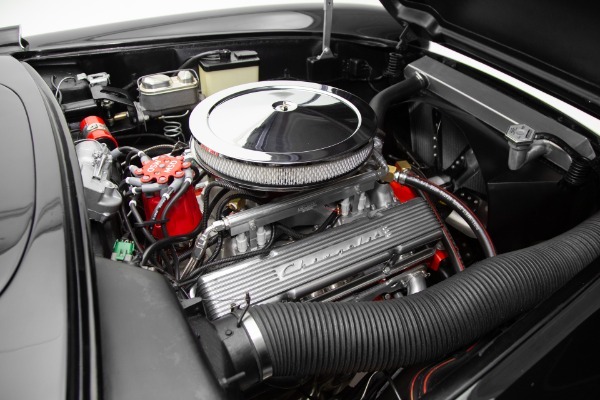 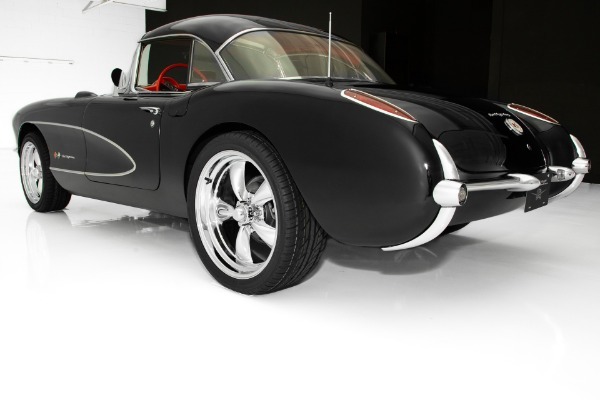 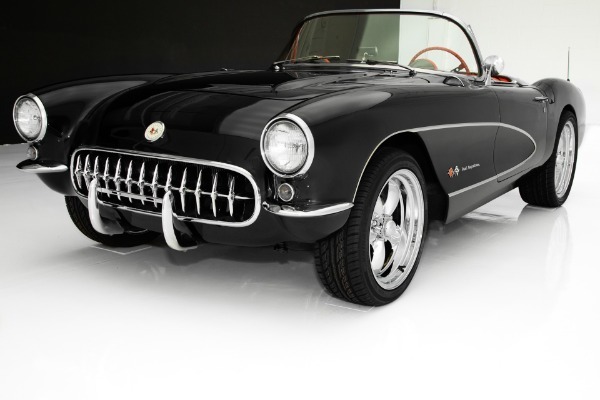 Drop dead gorgeous black 1957 Corvette with a bad attitude an major curb appeal. 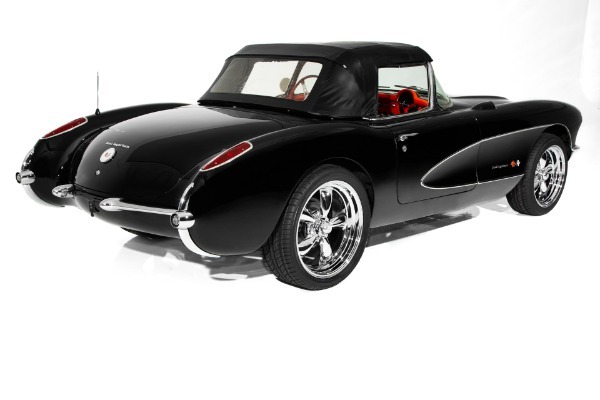 Two top roadster, black hard top and new black soft top. 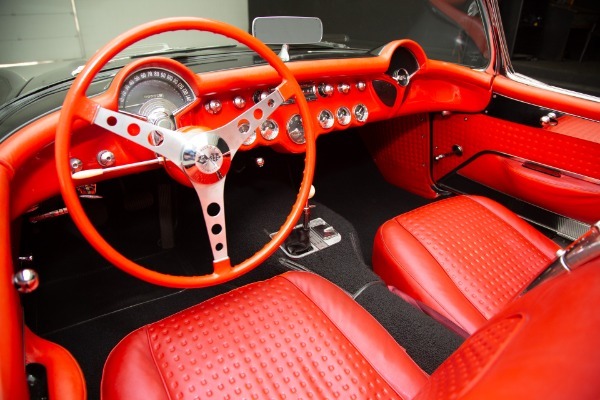 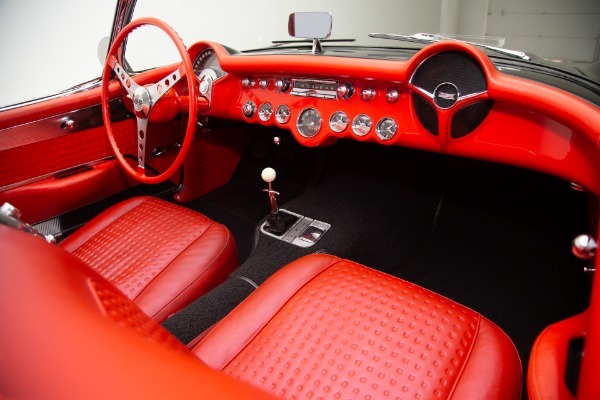 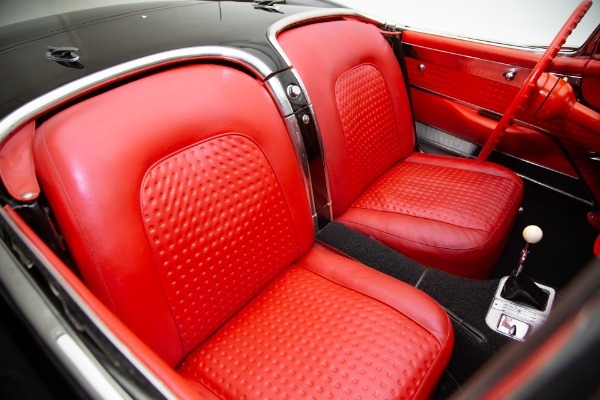 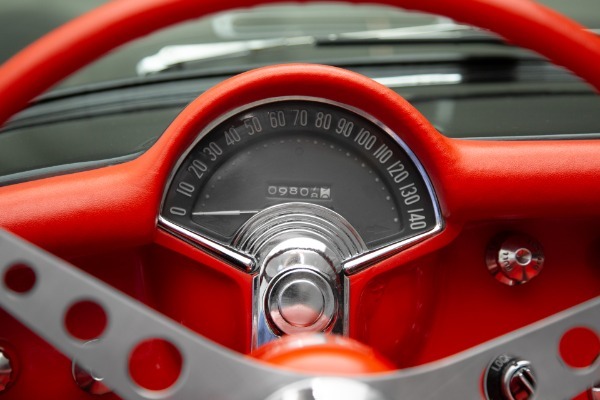 Gorgeous red interior and like new cockpit area. 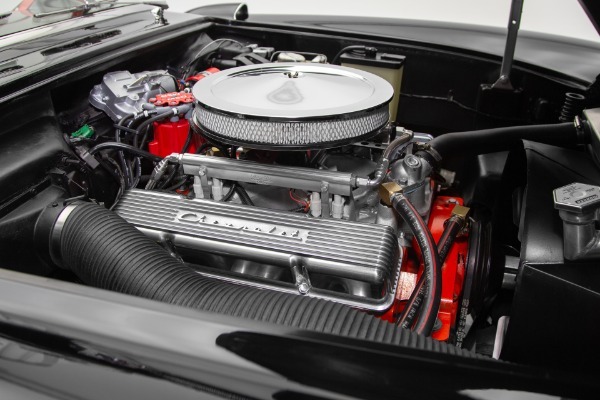 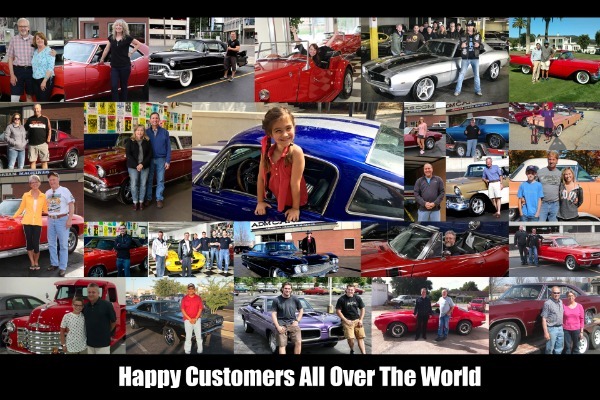 This car is incredible to drive, up graded with pro-tour options, fuel injected performance built 383 stroker engine, dyno-tested at 450hp to the wheels with 400 pounds of torque, freeway friendly Tremec 5-speed transmission and with a bullet proof Moser posi-traction rear end with 3:91 gears to put the rubber to road and stops much better with 4 wheel disc brakes. 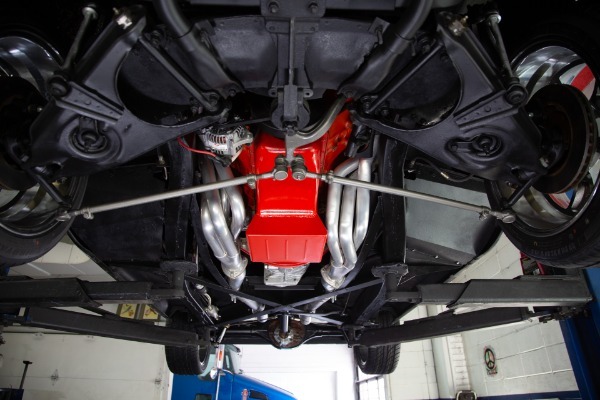 Comes with receipts of the upgrades and dyno sheets. 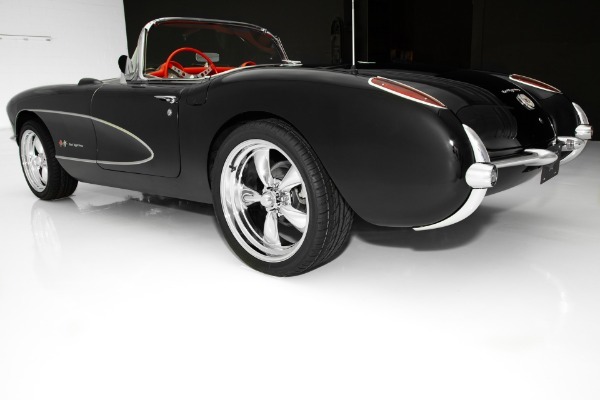 Rolling on brand new 18 and 20 inch American Racing chrome wheels with new performance radial tires with major curb appeal.